Update: Please read Installing Android KitKat on HTC Desire on how to setup the new Android KitKat version on your HTC Desire. Due to the memory limitations and the dusty stock Android version (2.2.something) I’ve decided to upgrade my HTC Desire (Bravo) to Android Jelly Beans (JB) (4.1.2). After numerous attempts to install various custom ROMS (e.g. ICS ROM by Sandvold) I’ve finally found a working JB ROM for the HTC Bravo: Jelly Bean 4.1.2 – v3.0 by vijendrahs, which exists in various versions. This steps descibed in this post apply to almost any ROM available, although certain configuration options might differ. Improved in 3.1: 3G connection seems to be working much more stable now. Fixed in 3.0: In version 2.8 the camera does not work as expected (flickering). A workaround is to start the camera close it and restart it again. Also, (very rarely) the 3G connection drops but switching to airplane mode and back restores it again. UPGRADE: In case you are upgrading from a previous version please have a look at the Upgrade Android section. Otherwise, let’s install JellyBeans on your HTC Desire! First and foremost you need to root your device to gain full control in order to install custom ROMs. Be aware of the fact that you most certainly void the warranty. Furthermore you might ruin your device doing so. All that said go to revolutionary.io and follow their guide on how to root your HTC Desire. The process is pretty straight forward so you should not run into problems. If you do please check their FAQ. Next, you will need to do some preliminary device configurations. First, in order to overcome the Desire’s internal memory limitations (512 MB internal memory) we will setup JB to use a SD card as its primary app and cache storage. This way you will be able to install far more apps then you could when only using the internal memory. Hereby, the heavy lifting is done by a2sd, which we will he using later on when actualy installing JB. So, start your (rooted) phone and boot into recovery. You can do this by pressing and holding the power and volume down button when starting the phone (as you did when rooting the phone). You will see the recovery console window as shown below: There navigate to Advanced and select Partition SD card: If you happen to have a 4GB SD card (like me) choose a 2096MB Ext partition (ext3, which will be the default used by a2sd) and a 64MB Swap partition. NOTE: Do the partitioning a couple of times to ensure everything has been written correctly. Then restart your phone into recovery mode again and wipe data and cache (do this a couple of times too). Take out the SD card (i.e. put it in a device such as your tablet to be able to access the partitioned and wiped SD card) and copy the JB ROM onto it, e.g. CM10_VJ_4.1.2_V2.8.zip, together with Google Apps (latter can be done afterwards too, additionally version 3.1 and later already include Google Apps in the ROM). Please check the developer’s page for the latest ROM version. NOTE: The title on the developer’s homepage accidently links to a different ROM than the one described here. Thus, do not download the ROM linked by the title “The fastest/stable CM10 VJ Jelly Bean 4.1.2 vX.X”, but rather scroll down on the page and download the correct version there. Finally, put the SD card back in and restart the phone another time into recovery mode. Now it’s time to actually install the custom ROM you’ve copied to your SD card. In recovery mode select “Install zip from sd card” and select the ROM (e.g. CM10.1_VJ_4.2.2_V6.3_May24.zip) and confirm it to start the installation process. Although you can customize the setup it’s best to just go with the default settings available, i.e. be sure to leave a2sd which we will be using later again. CM will first check the installation ROM zip file for validity, format your system (SD card) and finally start the installation process. Once the installation has finished be sure to restart the phone again by simply selecting “reboot system now” from CM’s homescreen in the recovery mode. Do not boot into recovery this time – let the phone boot normally. NOTE: Do not panic if you only see the HTC or the spinning CyanogenMod logo for a couple of minutes – this is normal behavior since various installation steps are being processed in the background. If you happen to get stuck on the logo screen first try to reboot your device. If you still can’t continue with the final setup try re-partitioning your SD card again an start over. I’ve experienced this behavior on some devices but after doing these steps a couple of times everything worked out perfectly. Also, make sure to check the data integrity of the ROM ZIP you’ve downloaded as this might cause odd behavior too. Also please have a look at the Google Apps section below for solutions when experiencing the spinning logo problem. First you will be asked if Terminal Emulator is granted root access – allow it and check remember. Second, a2sd will ask you three questions. Answer them with YES, NO and YES. NOTE: Selecting three times YES has caused several of my installations to not function correctly, e.g. not being able to update existing apps with the error “Insufficient space”. If you selected YES for the last question your phone should be restarting now. Let it sit for a while as a2sd will now copy existing apps and cache to your SD card, thus freeing your phone’s internal memory. Once this is done have have a working JB installation with the power of a2sd. Congratulations! 🙂 Also note that you can issue the commands listed above at any time afterwards too, e.g. after you have restored applications using Titanium Backup ★ root. Thus, sometimes you might need to force a2sd to move applications to your SD card. Simply use this command and you are good to go. Everything after this point is optional. Nevertheless, please have a look at the Final Notes section at the end of this post. Installing Google Apps is only required for versions prior to 3.0. So, if you happen to use a version prior to 3.0 now would be the time to do so. Download the corresponding ZIP file and copy it to your SD card. Boot into recovery again and select “Install zip from sd card” and select the ZIP file. The installer will guide you through the setup process. After a restart you will have all Google Apps installed on your phone. NOTE: In case you are experiencing the spinning logo problem when rebooting your device after the installation make sure to not enter your Google account details in the installation wizard. If you are unable to overcome the spinning logo problem repeat the installation procedure and make to not setup your Google account when running the setup wizard for the first time. I’ve experienced that the default CPU governor (OnDemand) drains the battery rather quickly. Thus, be sure to set smartAssV2 as your default CPU governor and select to restore this setting on boot. But be aware of the fact that smartassV2 is not available for version 3.1 and above. In this case just stick with the default CPU governor. That’s everything needed to setup JB on a HTC Desire (Bravo)! At some point you might want to upgrade your Android installation (ROM) to a newer version that probably includes bugfixed and/or improvements. Please note that upgrading your existing installation means that you will loose your current settings since it’s best to wipe your SD card and install the new ROM according to the steps previously described. Thus, you will definitely want to backup your exisiting settings, data and applications in order to restore them after the upgrade process completed. Here are the steps required to backup and restore your settings for an upgrade. Depending on the option selected from the list you can either select to backup data, the application itself and both. I recommend to select app+data to make sure you have backed up everything required after a restore. Also note that you might have to restart your device for some Android related settings. Please do so otherwise the restore process will not complete. Thank you, Matthias. I followed your guide and it all worked as the tin said. whenever i go into recovery my phone displays the htc logo and then show a red triangle and the phone if i use usb it just boots up as normally. Hi, Does sd card need backing up before repartitioning? Does this v of JB use Desire Hard buttons and does FM Radio work. Thanks. Nikki. Thanx. Successfully took my life in my hands and rooted phone, partioned sd card and installed CM10-JB. All without a hitch because of your fabulously clear instructons for non-geeks. Spirit FM Light seems to work well too. Nikki. I tried the rom on my desire and it works fine (except for the known video cam issue). In your description you talked about setting the CPU governor to smartAssV2. However I see only interactive, ondemand and performance as option. Can you please tell me how do I install the smartAssV2 option. I followed the link on top of this page Jelly Bean 4.1.2 – v3.0 by vijendrahs. after doing some research I discovered that smartassV2 isn’t supported in versions 3.1 and newer. I’ve updated the post accordingly. Took a wee while, but everything came together without any problem. Phone now performs to a much higher standard. No smartassV2 though. I installed the Jelly Bean 4.1.2 – v3.0 vijendrahs ROM and the google apps together on a GSM bravo. I found my system was suffering extreme shortage of memory and had trouble configuring the system until I realised you suggest the sequence (1) install ROM then boot, (2) setup a2sd then reboot, and (3) installation of google apps. As a work around to severe RAM shortage (assuming swap acted as a RAM extension), I chose 128MB for the swap size and left it at that size. Everything seems fine with one constraint being that I cannot allow google play store to update itself as it seems to break. thanks for your detailed feedback. As of version 3.0 Google Apps is already included in the ROM – so there is no need to install it manually. I’ve updated the post accordingly. Also, I believe here lies the problem of the Play Store not working on your device (double installation). Furthermore, please note that version 3.1 has been released. Great tutorial! I followed this and had no problems at all. Thank you for taking the time to write it and providing so much detail. the process is the same as installing a new ROM, i.e. save the new ROM on your SD card, format it and start the installation process. The upgrade section only shows how you can backup your data and apps prior to overwriting your current installation. There exists various tools such as Titanium Backup that can take of doing these tasks. ooh that makes a bit more sense, so basically I have to put new ROM into SD card and then do I wipe everything? or do I just have to install right away? Thanks for replying so quick and your guide is the best. exactly. It’s best to wipe everything before installing the new ROM. This is recommended for any ROM you might want to install. Thanks for your feedback. I will update the upgrade section to clarify this point. I have stopped in the middle. Could you please help me how to wipe data and cache. Is it through Recovery (2 options)–> Wipe data/factory reset and Wipe Cache ? Copying big files to MiniSD like (ROM and JB)is not allowing in my Windows 7. I formatted SD from FAT32 to NTFS and its allowing now. Is it fine? Reformatted SD again in through handset option. I mounted my device through USB cable and copied successfully. I finally able to upgrade it to Android Jelly Beans. Thanks Matthias for the steps. But now my HTC Desire handset is unable to locate any WiFi. Please help me to resolve this issue. Thanks a lot Matthias. It is one of the best blog I have got to upgrade my old HTC Desire with android 2.2 to JB. Hi Matt. Just install ROM, no problems and all went as instructed. Ran a2sd as instructed and it seem to go well and showed apps moving after reboot. But when I checked my internal storage it says only 148MB total and not over 2GB that I would expect to see with my Ext applied. Any ideas? that’s OK since the Desire only has 148MB of internal memory. If you look under the “SD Card” option and “Total Space” in the “Storage” menu you will have the correct value of 1,72GB (when using a 2GB SD card and the settings described in this post). a2sd merely creates symlinks that simulate extra free space on your SD card to be used by Android for apps etc. You can test this behavior by opening the “Apps” option from the “Settings” menu and switching from the “Downloaded” to the “On SD Card” tab. The amount of storage used will decrease when switching back from “On SD card” to “Downloaded”. This way you can check that a2sd is working. Also, in case JellyBeans reports that there is not enough free space simply use this procedure to force a2sd to update the free space stats in the background. Apologies, didnt add to same thread. I must be thick or something cause cant see “SD Card” option. I have got Internal Storage and USB Stotage but no “SD Card” option. Any ideas? Is there a way to get Internal memory to report properly? Also I’ve just rebooted and my apps seem to have moved again at start up. But when I try to launch anything it says it is not installed as if they were wipped but the shortcut has stayed. Hi Matt any help appreciated, thanks. it’s also normal that apps get moved from internal storage to your SD card on the next reboot when you’ve installed apps prior to installing a2sd. Your internal memory capacity is fine but it’s strange that you don’t have a SD card option. I will post a screenshot in the afternoon to clarify this point. As you can see the storage used by “Apps” exceeds the “Total space” of the “Internal memory” available, which clearly indicates that a2sd is working as intended. Furthermore, you can also see that the total space available on the SD card (4GB) is 1,72GB. Hi matthias, thanks for this great guide. Brand new 8 GB memory card – I created 2048 MB ext partition and 128 MB swap partition (the only difference from your guide) via the recovery. Then I placed the card to my card reader. Windows 7 disk management showed both ext and swap partitions and the on the remaining space there was fat32 partition about 5,8 GB. I copied the ROM zip to this fat32 partition and continued in your guide. – Internal storage: total space: 148 MB. Understood, this is Desire’s limitation. – SD card: total space: 5.38 GB. I wonder if this is OK. I do not understand where is that 2 GB ext partition created during setup. Please, can you explain? You posted this image http://www.kerstner.at/?attachment_id=2229 for Gaz above. You wrote you have 4 GB memory card and you have created 2 GB ext partition and 64 MB swap. On your image, there is: SD Card: Total space: 1.72 GB. Is this the ext partition or the rest of the card: 4GB total – 2GB ext – 64MB swap = around 1.72GB fat32 space? as Gaz (see thread above) seems to have the same problem I will post a screenshot of this option in the afternoon. Please check back again later. hi matt,thanx for ur respond. im still waiting for ur feedback..
btw, if i hve 8gb memory card, what is the best partition should i make for this one? because you said you use “4GB SD card (like me) choose a 2096MB Ext partition”..
this is the recovery menu..
as u can see, theres no option for “partition sd card” on that menu. you are using a pretty out-dated version of CWM Recovery (2.5.x). This guide is based on version 5.0 and above. Therefore the navigation does not resemble the one presented in the screenshots. I recommend to update your CWM to at least 5.0 to benefit from numerous bugfixes and improvement and to be able to follow the steps described in this post exactly. I reinstall the revolutionary.voilla..its working.hehee..thank u so much matt. Btw,evrythins fine except for my youtube/video.its flickering.how to fix it yaaa??? that’s great news 🙂 The flickering is a common problem in this version. Unfortunately, we will have to wait for a fix in upcoming versions. In your description you said you use “4GB SD card and you choose a 2096MB Ext partition”..
(ext3, which will be the default used by a2sd) and a 64MB Swap partition. so how much space for the ext3 and how much for the Swap partition should I choose? can I use MiniTool Partition Wizard to partition my card and do I need a Swap partition? thanks for the great how to guide!!! sorry for the late reply. I recommend to set your ext(3/4) partition to 4GB and create an optional 64MB of swap space (which is not really needed as you’ve mentioned). This way you still have enough space for audios, videos, documents and other stuff on the remainder partition. Also, I’ve experienced problems with partitions >4GB on a Desire in the past, but this can be related to SD cards of lesser quality. Furthermore, please do the partitioning through the corresponding menu in the recovery mode. It can save you a lot of hazzle. Don’t forget to do this process a couple of times to ensure proper alignment. thank you so much for your explanation. don’t worry about answering late. I’m not in a hurry to flash my desire. it is my only phone and recently I relay on it a A LOT so I have to make sure it works. also I recently run into the problem that the phone does not recognize my Sim card after a restart. have to take out the battery a couple time and Sim card and eventually it works. might have to get a new Sim card. one more question at least.. NOTE: Do the partitioning a couple of times to ensure everything has been written correctly. Then restart your phone and wipe data and cache (do this a couple of times too). what do you mean with restart? reboot the phone normally,switch it off and restart into recovery, or just go back after partitioning and wipe the data in recovery? that’s the only point that’s not clear to me. otherwise WHAT A GREAT WORK you did with this article!! Restart into recovery again as this is the place where you can do the wiping of data and cache. Sorry if this wasn’t clear enough. I’ll update this post accordingly. when starting your phone for the first time after setting up a2sd (correctly) it will move existing apps from your internal memory to your SD card, thus decreasing the internal storage usage. Are you sure that a2sd is setup correctly? You can issue the a2sd install command any time later too. On the next start of your phone it automatically takes care of moving existing apps to your SD card. thanks Matthias, I will wait till I get a new sim card, before I do any flashing in order to get it right. meanwhile I found some interesting articles about using titanium backup to remove bloatware from my phone and use android sdk commands to move certain apps to my sd card to free up some space on my phone. Also: Please use the “Reply” option, otherwise each time you write a comment a new thread will be created. Thanks! it works perfect just make sure you make a backup in case your phone starts to act funny. makes it easier to remember the path. after that I could move almost any app to sd. I tried also different mods V3.1, V3.0, V2.8.. and get always the same error. My hdc desire bravo was allready rooted and running mod oxygen 2.3.2 bravo, but i’d like to use JB..
please make sure that the downloaded rom-zips are error-free by checking their integrity using your favorite zip-tool, e.g. 7zip. Are you using a class 10 SD card or lower? Make sure to completely format your SD card and check for errors. what do you think about this version of the rom? I know it is a Pre alpha but he says that wifi Tether is fixed in this release also.. let me know what you think. This happened to me, but it wasn’t a problem with the downloaded image. It turned out that it was because I had a custom hboot installed (AlphaRev’s CM7R2 hboot), so my /system partition was too small for the ROM. Reinstalling stock hboot solved the problem, but didn’t leave enough space for installing apps. In the end I followed the Project Slim guide to remove some stuff from the ROM zip to reduce it below 180MB. Then it installed fine with the data++ hboot. All my apps stopped working.. what should I do? Should I need to buy another SD card? My SD card has a transfer rate of around 7-9MB(peak) per second. sorry for the late reply. Did you re-partition your SD card prior to formatting? If not please do so using the recovery mode option. This is important as external partitioning tools tend not to work as expected with the clockworkmod installer. Once fully re-partitioned format your SD card a couple of times. Also, like I’ve stated before please check the integrity of the ROM zip downloaded using your favorite zip tool, such as 7-zip. That worked for me on my HTC Desire (Bravo). I must admit that I had to try it 2 or 3 times, because I failed to follow your instructions to the letter each time. However the “Home” button seems inactive for me, nor does the Stock Browser work. Not an issue, as I could install Dolphin Browser, but just something I wasn’t expecting. thanks for your feedback. I’m glad that it eventually worked out for you. When you say that the stock browser does not work do you mean that it does not even start, or that it crashes when browsing? As far as the home button issue is concerned have you tried turning off the soft button navigation option and on again via the settings menu? If not please try it and restart your phone. The Stock Browser tries to open for a split second then disappears! Yeah, no luck with the home button. But more worrying is that while I can make calls fine, send messages, access the internet, I can’t receive calls. When anyone tries to ring my phone, on their phone they hear one ring tone, then it just says says “my line is busy” and the phone stops ringing. It doesn’t even register on my phone as a missed call. Any advice? That sounds a little weird. I’m afraid that I can only suggest to re-install the ROM entirely. Like I’ve stated before please make sure that the downloaded ROM is 100% error free (run check with your favorite ZIP tool). Also, format existing partitions a couple of times from within the recovery mode (like you’ve done before) to make sure everything has been wiped correctly. Sounds great, thanks for the feedback 😉 But please keep in kind that this is a pre-alpha version. Having said that enjoy JB on your Desire! I know ds is the wrong place to come but i just love the way u respond to your msgs. Pls i av evervol ics installd ryt now as i have tryd other roms bt i have had problems wt bluetooth. When i switch on Bluetooth, my fone crashes n i av to wipe system. Pls help. I’m afraid this is a problem related to your particular ROM. Have you tried posting your problem on the developer’s site or forum? If not please do so. I’m sure somebody there will be able to help you. Good luck! I’m afraid from doing change to my phone 🙁 . thanks for Ur help Matt i have backed up my current Rom now I’m in my way to install the JB version Just pray for me. Cheers. it looks wonderful version but there is some problems like i can’t save contacts to my phone memory all contacts saved to my g mail account. thanks for this nice J.B version . Concerning the battery drain issue I would suggest to inspect what app is running in the background and is using up your battery. There are numerous tools in the Play Store that can help you with that. I’ve downloaded CM10_VJ_4.1.2_V3.1_with_GApps.zip & followed the introduction above. My HTC Desire looks great with JB. Thank you. But I have a problem with my wifi connection. I did as Manoj, installed wifix and changed country code as EU. My wifi connection works well while I removed my SIM card. If I place SIM card into my phone, wifi doesn’t connect. Can you help me? I’ve solved the problem. Wi-Fi settings > Advanced > Wi-Fi region code must be Europe. i just flashed my desire with CM10_VJ_4.1.2_V3.1_with_GApps.zip, everything seems to be fine — except: calenders from google do not sync. in calendar-settings for the account it says “no calendars”. anyone else has this problem or even a solution? you just need to install Google’s calendar app from the play store. sorry for the late reply. It sounds like a2sd is not working properly on your device. Thus, please ensure that a2sd is configured correctly before installing apps after setting up the ROM. Either way, a2sd should be smart enough to move new apps on the next boot cycle. In the worst case I would suggest to simply remove your broken apps, ensure that a2sd is working correctly and then install the apps again. 3) The notification volume is too low. have you tried re-installing the ROM already? Sometimes it takes a couple of installations to work 100%. Your second problem is most likely related to a slow memory card. Please check that you at least have a class 10 card. Concering the volume issue: Have you had problems with your volume in the past? I have already re-installed the ROM (two times). I did not had the problem with the volume in the past. I have downloaded Volume booster app and it has helped me. 1. I already have a custom ROM with cynogenmod 10 Jelly Bean 4.1.1 in my desire. Currently my HBOOT version shows as “HBOOT-6.93.1002”. Please let me know can i install your ROM now without any issues ? 2. If i need to change my HBOOT to something else before trying this, how can i do this. sorry for the late response. HBOOT-6.93.1002 works perfectly with this ROM. a2sd is a tool that comes preinstalled with the JB ROM. You don’t need to install anything additionally. Simply open the terminal app (also preinstalled) and type the commands as posted. Hope that helps. i have installed this ROM and like amazing but there are some issues like the only memory where i save contacts is G mail only there is no phone memory when i save new contact. sorry for the late reply. Concerning a2sd please open the storage options from the settings menu. If a2sd is properly setup on your phone you will notice that the storage used by your installed apps will decrease as a2sd updates the internal memory “counter”. If not please re-do the a2sd setup and restart your device. a2sd will move all apps from your internal memory to your SD card. Also, you might have more luck with the newer version: VJ CM10.1 | Jelly Bean 4.2.2. Hope that helps. After downloading the zip to the sd card and I go into install zip from sd card I get an installation aborted message. I tried different versions 2.9, 3.0, 3.1 but they all give the same error. I flashed the rom and everything is working fine except for the video cam. When i take pictures everything saves but when I do videos, it doesn’t, is this a known issue? PS: You are a great talented guy and very very helpful! May you succeed! what is sense and data++?? Plz help. For those who have problems with Camera, panorama or Video. Just go to setting and disable Camera. Then go to google store and install Camera ICS and Gallery ICS (from Moblynx). Camera ICS is an improved version of the official Camera app included on Ice Cream Sandwich (Android 4.0). Worked for me as a charm. I am using VJ CM10.1 | Jelly Bean 4.2.2. … Hope it helps !! hey man! 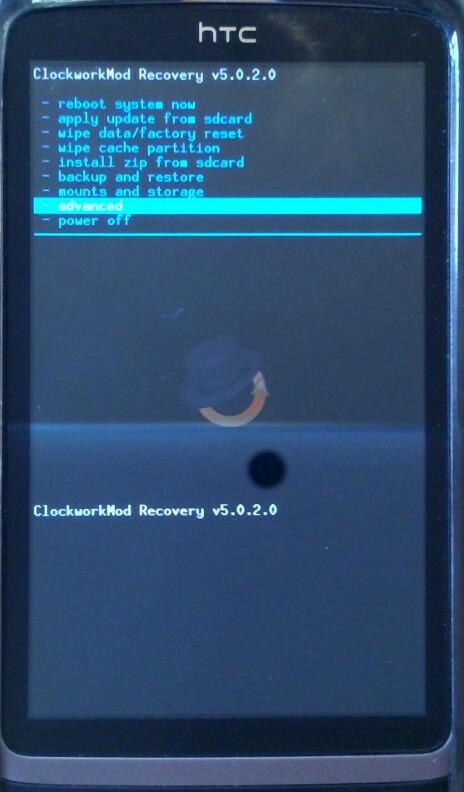 What if i backup my stock rom with clockwork mod first. And then go for partitioning the sd card and install vj rom with your method. But it will also definitely also delete my stock rom backup from the sd card 🙁 How do store this backup somewhere before partitioning and formatting the sd card. Plus you said in your tutorial to backup everything before this method like with titanium backup. But titanium backup also backs up at the sd card. So partitioning the sd card will also delete its (titanium) backup. Please help! http://forum.xda-developers.com/show….php?t=2070704 gives two option for download. One is for ‘Stock Hboot version’ and the other is ‘Sense/Data++’. How do i know if i have stock or sense/data++. Cause holding down volume and power button will only show the Hboot version e.g 0.75 or something. How do i know that i need my custom rom for stock or sense/data++? PS what is sense and data++? 2. Before flashing the custom rom i will backup my stock rom with CWM. And i think it would backup on the sd card? But after backing up when i will go for partitioning the sd card to have more internal memory and then install my VJ custom rom it will also delete my stock rom backup? right? So how do i store my stock rom backup before partitioning and formatting the sd card and then bring it back on the sd card to be later accessible by CWM? 3. If i will partition the sd card and run the a2sd script to move my apps to sd card, in which partition would it move to? And out of the two which partition would be available for me to use for like music, videos etc. Very useful guide, just installed a newer version (4.2.2 v6.3) everything its smooth and nice. The only hard part for me was the rooting thing haha, took me some time to realize how easy is now with Revolutionary. Firstly, thanks Matthias for this tutorial and yours comments here. I installed a new version 4.2.2 v6.3 for my HTC Desire Bravo and after two weeks of use, I noted one very major problem 🙁 during a voice call, my phone reboots spontaneously. There anybody else who also noted this one ? When you say “take out the SD card” do you mean I need to physically remove it and use an external reader to copy the ROM? Can it be left in the phone for the copying process? Sorry, this step just confused me! Hi Eric, first off which device and JB version are you using? When you say you can’t access your SD card I’m assuming that you have a running JB version on your device? Or do you have problems accessing the SD card via the bootloader? I had to reformat the SD through my PC to add the ROM. This wiped the partition. I installed the ROM following your guide, but once I installed and loaded the new ROM the SD card would not mount (“Blank SD card”). I had to repeat the partition step through recovery, but the ROM was preserved so I didn’t need to reinstall. SD mounts properly now and I can a2sd install without problems. ROM works great. Lots of room. Thanks for the help. I did this mostly to free up space for apps on my phone. As much as it helps it still isn’t enough. While I’ve installed several more than I could previously, it is still very limited and disappointing. I was hoping I could avoid putting apps on the internal memory all together, but it seems to be a half and half between internal memory and SD. Any suggestions or is this as much as I can expect? have you tried updating the internal memory counter as suggested in Gaz’s thread? The setup described in this guide does not use the SD card for everything related to an installed app (this is way you answer the three questions with YES, NO and YES). You can try to answer the second question with YES too (which will advice a2sd to store app-related stuff entirely onto your SD card), but I suggest that you try to update the internal memory counter first. Issue is fixed now. Lots of space. I’m guessing the partition didn’t work. The number on SD storage was changing, indicating that apps were being installed to the wrong partition. I repartitioned, wiped all cache, factory reset and everything is good. Tons more apps, just need more RAM :O. Thanks for the tut! 4.2.2 was soft resetting once in a while in the lockscreen but this works like a charm. I didn’t enable swap though (never set it up in the first place) but all seems fine. Do we need it? 1. Where is the Sat Nav app. I have some issues with partitioning the SD. and everything works fine… but I didn’t partition the SD-Card. I guess I am just too new in this stuff to get it right…. What do I need to do to partitioning my sd now? Any hints? My HTC wont come out of the spinning logo. I load the zip sucessfully and reboot, but just get the logo screen. I am trying CM10.1_VJ_4.2.2_V6_May24, should I try a different ROM? I have cycled through the process 6 or so times and even left it on the logo screen overnight to see if it would work, but it doesn’t. Sorted now thank you. I missed the line about wiping the data/cache. I have done that and it loaded correctly. Thanks again. I notice that half of the camera screen is full of noise when taking photo’s. The image appears ok when viewing in the gallery. which is the best custom rom of higher android version i can install ? sorry for the late reply. As far as I know that Desire C comes with JB pre-installed, right? Have you checked for official HTC updates yet? This is always to best option available before trying to root your device. If not (and HTC does not offer updates for this device) you still have the possibility to install any of the JB versions available by vijendrahs. But make sure to backup you existing ROM first! Good luck, cheers. Thanks to your how to my Desire runs (till now) like a clock, and your checklist to check if a2sd is working is perfect. Hopefully I won’t get the message about memory shortage. Dude, I got to admit that this was the best guide I could turn to for upgrading hy HTC Desire. All other guides failed, some crashing, others having problems in cmd. But this was the most easiest and effective!!! Loving my HTC Desire now!!! Thanks a million!!! Hi Matthias, thanks for your guide. Very helpful. I’ve successfully installed JB4.2.2 v6.3. Tethering is still not working for me. However, wifi hotspot is and that’s a workaround. Do you know if tethering ever was fixed (i.e. is it just me??). Has anyone got tethering working on v6.3? I have a HTC Bravo. Hi Peter, I’ve just tested the 6.3 version and wifi tethering does not seem to work at the moment ootb. The problem is rooted in missing file permissions. A working solution is to use “a2sd xdata” with Y/Y which will move app-data to your sd-card as well (as opposed to using the “a2sd install” with Y/N/Y). This comes with a bit of trade-off, since starting apps will be slower because everything is read from the SD-card – but WiFi tethering is working then. I highly recommend to use a class 10 or even UHS-1 SD-card in this case, as apps will start slowly otherwise. Additionally, I’ve update the guide with a link to an app for wired tethering. NB : I haven’t try to grant less possible right. it’s probably possible to not allow all, but I haven’t make all test. But thanks for sharing the guide, every step is so clear! Bravo! Hi Mithunferns, which version are you using? 🙁 i installed jB according to your guidelines and app2sd from terminal too. but what i found after upgrading my apps that my internal storage is shown as 148 MB. i partitioned 1.5 GB ext3 , 182 MB swap memory of my 2 GB memory card. Hi Matthias, I’ve followed your guide step by step and everything installs ok, but I don’t think a2sd is working, as i ran in the low memory problem again. So I backuped and redid everything. Still, a2sd is not working, when I install apps, it only takes up internal storage and when I run the a2sd install script nothing gets moved. I open the ext folder under apps there’s nothing in it. i installed the app ‘freespace’, which shows ext used and free memory with mine is just comes up with dashes as if it can’t read it. I checked to ensure the partition was aligned correctly. Do you have any idea what I can do to make it work? thank you! Hi Matthias i have 8gb card how much space give it for partition? Hi, i wanna know, if i can use the cam in instagram, pirxl express, twitter and some other apps? yesterday i installed ics 4.0 for another rom and this was the only problem, thx. Is the htc sync working on this ROM? Wanted to root my htc bravo but not too sure about rooting it. So, would be very thankful to you if kindly show me the steps. Would be great if you can mail me. I got JB 4.2.2 V6.3 running. I use 16 Gb class 10 USH-1 with 2Gb ext and no cache, a2sd xdata Y/Y. Wifi tethering won’t work, wired tethering does work using apk. Directly after installing Wifi tether did work and my Nexus 7 and PC connected to the internet. After installing apps when I switch on Wifi hotspot it immediatley switches off. Apps lik Barnacle don’t solve the problem. I also tried VJ MIUI and AOPK rom’s they also have problems. Do you know if there is still development done or do you know someone who has successfully Wifi tethering with V6.3? I like your blog it is very clear and precise. I’m know using Easy Tether Lite to set up bluetooth tethering between my Desire and Nexus 7. This works fine. Also Wifi tethering now works of and on. While using Easy Tether I noticed that sometimes although in the notice bar the 3G or H was visible there was no internet connection. I tried using a signal booster app to reset the 3G connection but normally a restart will work. It maybe that the problems with wifi tether are in the Desire losing its 3G internet connection with it showing. sorry for the late reply. Yes, wifi tethering should work, at least it did on my recent installations. Nevertheless, I’ve too experienced the problem with the Desire shutting down tethering right after turning it on. I’m not quite sure if active development is still done by VJ. You might want to check the forum directly: http://forum.xda-developers.com/showthread.php?t=2070704. Hope that helps. Thanks for the reply. I now have working wifi tethering. I may have found one of the causes for the shutdown immediate after turning on tethering. During testing I discovered that turning on tethering with wifi still active causes the Desire to loose its “data connection”. The status/notice bar is showing 3G/H, suggesting there is a 3G data connection but using *#*#4636#*#* to access the TEST menu it is clear that there is no data connection. I had to reboot to restart the data connection. Even using *#*#4636#*#* > Phone information>menu (button) I was not able to enable the data connection. I also tried toggling flight mode and several apps that restart the 3G connection. Now I switch off Wifi and allow the 3G connection to stabilize before I turn on tethering. This way I have no more problems and everything works fine. I found that the app “3G data only” can be helpfull, it forces the use of 3G over 2G (turn it on before switching on tethering to ensure a stable 3G connection, switching between 2G en 3G can also cause the loss of the data connection). Since then I have had no problems setting up a hotspot. It is just great to see my old Desire running Android4.2. thanks for taking the time to post your solution. This is definitely helpful to overcome the wifi tethering problem. I’ve just successfully tested your solution. i followed some xda developers sites and booted my HTC Desire C phone, i accessed clockwork recovery mod and selected install zip from sd card and installed successfully, but when reboot my system its hanging on HTC logo written text below (this is only for developers etc…) now i can only start my phone to fastboot & bootloader mode, and i can goto recovery mod, thats all i am getting same messege, please can you help me what i have to do now, i had Android 4.0.1 i was trying to upgrade 4.2 jelly bean, now atleast i want back to my older version (atleast function my phone in factory default mode) or if it is possible to upgrade to 4.1 or 4.2 jelly bean, and the links for where to download. first off sorry for the late reply. 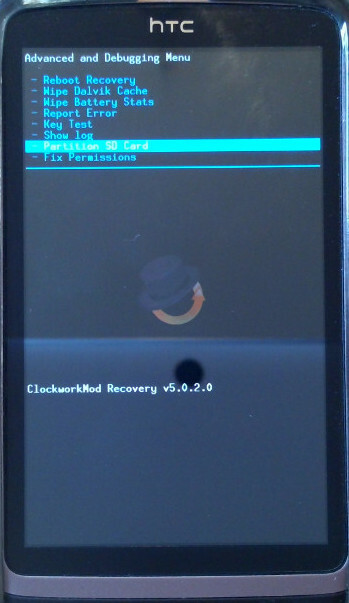 Since you still can access the recovery mode you are able to install any of the custom ROMs mentioned in this post. Simply do the steps described in this post again, i.e. re-install the ROM. In case you did not backup your settings and the ROM itself from version 4.0.1 you won’t be to restore it to this exact version. I would recommend to install a more recent 4.2 version, like CM10.1 VJ Jelly Bean 4.2.2 v6.3. Hope that helps, good luck! Hi Matthias, Thanks for your effort. I followed the steps and I am having a probem with 3G,every while (2 Hrs or so) i lose data connection and have to restart the phone in order for 3G to work again. Another problem is the hotspot is not working, it says turning on and keeps trying for over but nothing happens. Any help with these problems?? My SD card is not working i have 2 GB card and its memory show in pc 800 MB but i insert in my mb and open my camera it say “insert SD card” Plz tell me what i’ll do?? N it is also not showing my sim contacts! I flashed these ROMs ver 6.3 and 3.1 but video cam is not working. Some body above recommended to remove camera from setting and install cam from market. But I do not know how to uninstall can from setting. Any help please. First, thanks for a very useful guideline. Very well done. I rooted/NAND security removal using revolution, installed the CM 10.1/VJ 6.3 successfully and my Desire has a new life now. The camera display is unstable but was aware before the update. One problem is that the system never shows the Unlock wheel when starting. I’ve set it to Slide and setup the 3 lock screen apps but it just starts directly into the home window. Spent a lot of time through the lock screen options and it just doesn’t work. Am I missing something, or is this a known problem with this mod? Here is a YouTube video I did showing it in operation. At the very beginning you can see just after I press the On button there is no slide lock. I found your very explicit “Y, N, Y” very useful when I have to use a2sd. Of course the second time I used a2sd, I wasn’t too precise about it, and did “N, Y, Y” with terrifying effect. Internal memory completely full, the phone almost didn’t move anymore. Time to check your guide once more, and now I know the mantra. I happen to read the message of Michael of 1.1.14. Almost the same name but exactly the same question: what did I do that the Lock Screen and it’s slider don’t show anymore? Even if I play with it’s settings. I’m feeling so confident about custom ROMs, that I now even consider to tackle my wife’s Wildfire S. But I understand that I shouldn’t use the same ROM there. I suppose however that your guide will still be useful! On xda, I read a post by “handy5876” that explains that the ROM becomes slow updating “Google Play store” and “Play services apps”. of these responses look as if they are written by brain dead people? My HTC PB99200 not power on, it only vibrate twice whenever I plug it with charger. Pleas I needs help on how to run jumper on the board to make it power, if there is any other way out, I already change the flex thinking maybe it could be the power button. Pleas help cause I really love the phone and I don’t want to let it go just like that. I can confirm that this ROM is really amazing. I tried other ROM but always encountered some trouble. To sum up is enough to use “camera illusion” from play store. Instead, about the second one, I didn’t find any other user claiming this problem. I don’t know if I’m just the only unlucky……anyway I fixed by myself using the app “wifi tether”. Matthias I thank you for the time you spent! hey so here is the problem im into the hboot or w/e you call it but i cant get to the recovery cuz my trackpad button is not working ..
First, thanks for a very useful guideline. Very well done. i tried installing play Store on the phone does it work what i do …..
i m not expert in this but i successful install JB 4.3 but there is no File Manager & play Store lyk map apps so how to install this stuff i tryed lot of options so please help….. I have done huge number if installation attempts but thay all fail with the same error message. I have bought a new 8 Gb class 10 yesterday as I was doing the installations from the 4Gb class 4 card before. I partitioned the card first 4Gb and 128 Mb for swap. then formated the partitions in the recovery mode 2 times. Took the Sd card from the phone and copied the Zip file on the card with the use of a card reader. Checked the zip file with before and after copy with 7-zip. In both cases no errors. Put the card back in the phone and boot. The phone is a Desire A8181 just to give you all the info. I have seen that you are able to help out a lot of people. You dont need to move the APPs to the SD card, there is a proceedure which involves executing this command: adb shell pm setInstallLocation 2 (and you dont even need to root the phone, apparently) It does not work for all phones (maybe due to their system version?). An easier way than the “setinstalllocation” method is finding an app called modinstalllocation. 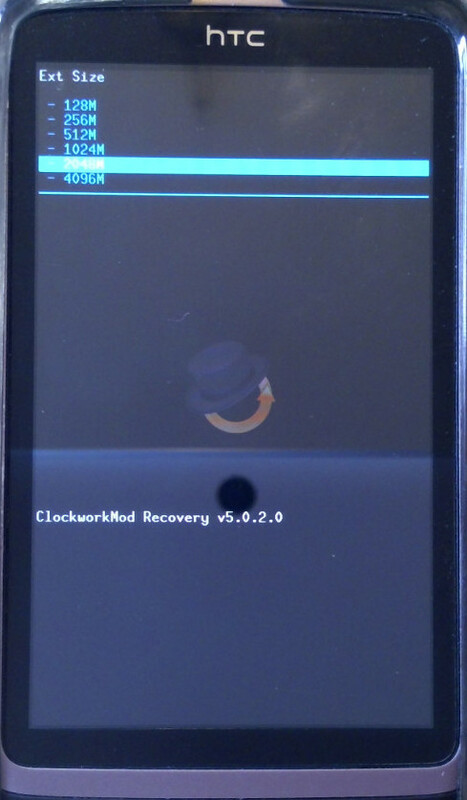 1) Update your phone to -at least- CWM 5.8.0.2 Recovery. Mandatory. uhm im josh and i just got this htc bravo from my sis and im a little reluctant to change the O.S. but im wondering if i dont back up my older files(since the phone wasnt mine i want a new start) will i run into problems? and 1 more thing if i run into problems is it guaranteed that i can recover the former state of the phone? im sorry but im still a newbie in this things how do i know a phone is rooted? Greetings Matthias -THANK you for all your fine posts – Very Helpful. I am very new to these smartphones, and now own a fine new HTC Desire Bravo A8181. Needing some apps that cannot run on the stock Froyo 2.2, I have observed and tried advice from many web guides and sources – with some considerable anxiety about ‘bricking’ my Desire. I did it once and recovered. However, without fail all the ROMs I have tried run so so slowly they are impractical at best, and in every case the Wifi does not turn on – means I cannot use a wifi connection. How can I get around these issues – speed and no Wifi please Matthias. An e-mail from you would be appreciated. I have rooted the Desire – Kingo Root – and have installed the Rom Manager – which works well. I do not know how to move from the older CMW Recovery to the version 5 you mention. It seems I need something called ‘Eng Boot’ right at the beginning of everything?? Thank you in advance, Rob. Greeting again Matthias. It seems I must have the “eng hboot” software installed before I can flash any recovery image manually. I have no idea how to do this! Please advise. Thank you, Rob. Hello – Rob here again. Whenever I attempt a manual Fastboot flash the diagnostic returned is “rerror: remote not alowed”. XDA site comments say I must have eng hboot installed…..? Every Info/clarification/download links, I needed to flash my HTC desire to Jellybean was available on this very page. Most appreciating thing about the author is his patience to answer all those queries. My regards to you sir. 1. set country code to europe in wifi->advanced->country code. Rebooted after every step, still when i turn on wifi it says ‘turning on wifi’ and after 20 seconds it automatically turn wifi off. Though It took me about 3 hours to root and flash my HTC desire(thanks to your great tutorial). Rest of the day wasted in trying to make wifi work. I tried other sites too, not much help on that. Anything else should i try? I have given up hope that I will use wifi in this MOD.